My name is Ronit and like everyone here, I was in your position less than a year ago, a candidate for admission to an MBA program in the U.S. But my situation was more complicated. My husband and I applied together. It is hard enough for one applicant to get in, and even harder for two. The Ivy team worked day and night to help us get admitted. 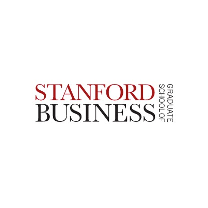 From experience working with other consultants, I can testify to the uniqueness of Ivy MBA Consulting: a personal approach for anyone. I remember especially the day before holidays, two days before the admissions deadline, how Aaron, my counselor, helped me a lot and worked without a break to finish before the holiday. And it paid off! We were accepted as a couple at MIT Sloan and Chicago Booth. 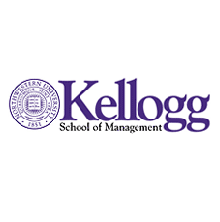 In addition, I was accepted at Kellogg. The good news kept on coming when they told me I had received the full Carlton scholarship! I owe the ivy team my personal gratitude, for being a psychologist, consultant and friend during the most difficult and happy moments. Aaron, thanks sincerely for your great investment of time and effort – from beginning to the successful end. I can appreciate how hard it was with family and work, and how far beyond you went to help me succeed, you were always in the background to help and support. Gur, although we met you at the end of the process, your support in the tense moments of waiting shed some light on the not so fun period.